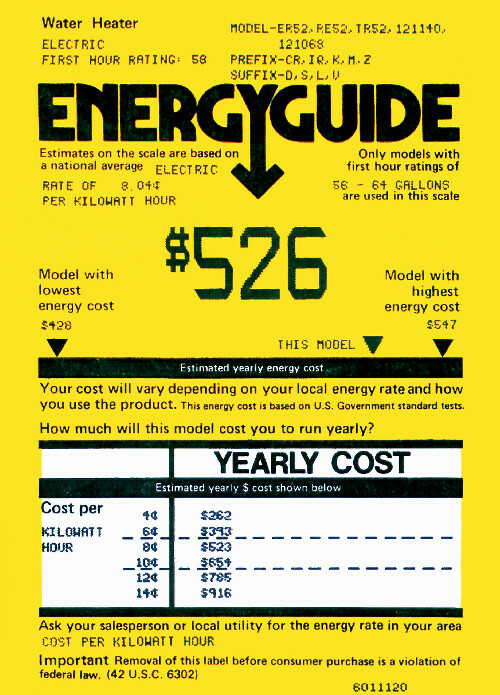 To estimate your family’s annual water heating expense, use the Energy Guide label attached to your water heater. Calculate your monthly water heating expense by averaging your last 12 electric bills, and multiply that average by .2 (or 20%). Once you’ve found your monthly water heating expense, you can approximate the savings that GUARDIAN can provide you. * In most cases, the savings add up to more than the investment made by upgrading to solar. 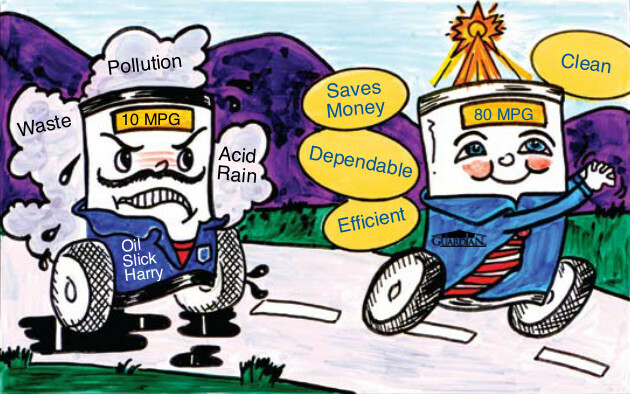 GUARDIAN water heaters are designed for maximum efficiency. In fact, GUARDIAN is so efficient that it will, on average, supply most of your water heating needs. *Due to regional variations, total annual savings tend to fluctuate from location to location. Ask your local water heating expert what you can expect for your individual savings. Intelligent automation is the key to GUARDIAN’S outstanding efficiency. Designed to be self-sufficient, GUARDIAN will turn on and off daily, collecting heat whenever it is available. GUARDIAN’S ‘brain’ is an automatic controller, which alerts the pumps when to run. 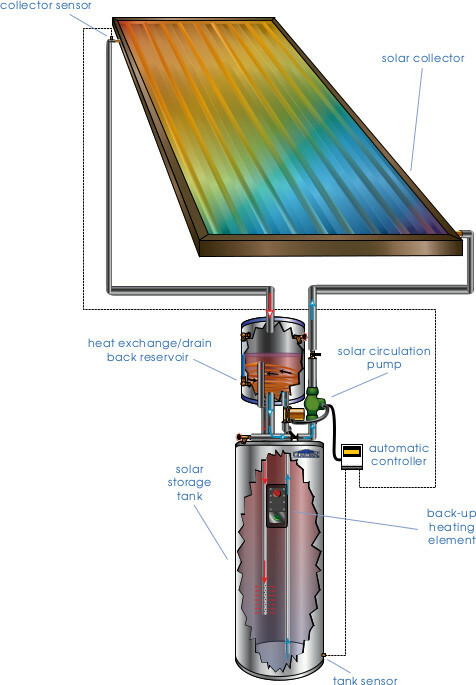 The units’ solar circulation pump distributes cold water from the bottom of the heat exchange reservoir through the solar collector(s), and returns the heated water to the exchange reservoir. Simultaneously, cold water is pumped from the bottom of the solar storage tank up to the heat exchange reservoir. This water collects its heat from the upper tank and returns back to the bottom storage tank hot and ready for use. The cycle continues as long as the sun is available to provide heat to your water. When there is no solar heat available, the controller turns the pumps off. Any water circulating through the collector drains back into the exchange reservoir, which protects the collectors from freezing during the winter months. If your family ever needs more hot water than the sun can provide, or in long periods of inclement weather, GUARDIAN’S back-up heating element automatically takes over, insuring that you will always have all the hot water you need.